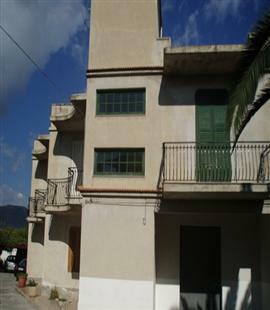 THIS SPACIOUS VILLA IN AVOLA IS SET ON TWO LEVELS AND HAS A TOTAL AREA OF 485 SQUARE METRES. LOCATED VERY CLOSE TO THE BEACH, THE HOUSE HAS A 200 SQUARE METRE GARDEN, A GARAGE OF 45 SQUARE METRES, TERRACES, AND BALCONIES. WITH 6 BEDROOMS, 3 KITCHENS, 3 BATHROOMS, AND 3 LIVING ROOMS, THIS PROPERTY COULD BE CONVERTED INTO A BED AND BREAKFAST. 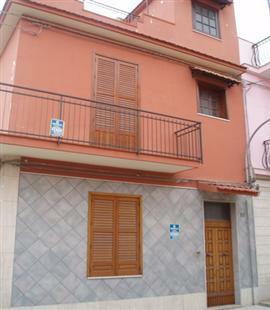 LOCATED IN A QUIET RESIDENTIAL AREA, A FEW MINUTES AWAY FROM THE BEACH IS THIS TERRACED HOUSE. SET ON THREE LEVELS, THIS PROPERTY COMES WITH A GARAGE AND IS SPLIT INTO 2 APARTMENTS, ONE AT GROUND FLOOR LEVEL AND ONE ON THE FIRST FLOOR. BOTH CONSIST OF 3 ROOMS PLUS A KITCHEN AND A BATHROOM. 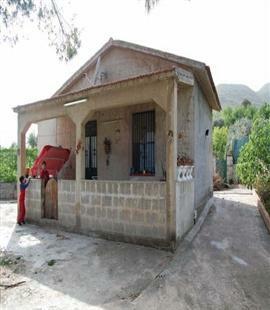 LOCATED IN THE COUNTRYSIDE OF AVOLA, IS THIS SMALL VILLA WITH 350 SQUARE METRES SURROUNDING GARDEN. BUILT ON A PLOT OF 2920 SQUARE METRES, THIS HOUSE PRESENTLY CONSISTS OF AN ATTIC, KITCHEN/LIVING, TERRACE, 2 BEDROOMS, BATHROOM AND STORAGE. 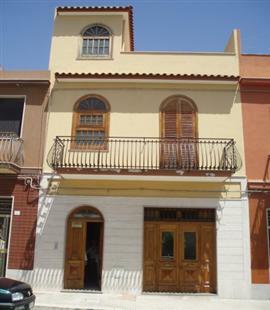 AN IDEAL GETAWAY, A GREAT INVESTMENT IN SICILY. 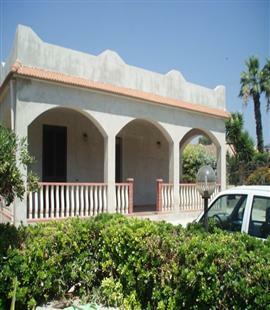 THIS UNIQUE VILLA, LOCATED IN THE TOWN OF AVOLA, ENJOYING SEA AND COUNTRY VIEWS IS AN IDEAL INVESTMENT OPPORTUNITY. SET ON A 1000 SQUARE METRE PLOT, THIS PROPERTY HAS AN AREA OF 165 METRES SQUARED AND A 300 METRES SQUARED GARDEN. COMPRISING KITCHEN/LIVING, 3 BEDROOMS, 2 BATHROOMS, INTERNAL WASHROOM, LIVING ROOM, STORAGE, TERRACE AND 2 VERANDAHS. LOCATED VERY CLOSE TO THE BEACH. THIS HOUSE IN AVOLA HAS A TOTAL OF 168 METRES SQUARED AND COMPRISES A SITTING ROOM, BATHROOM, KITCHEN/DINING ON THE GROUND FLOOR, 2 BEDROOMS AND A BATHROOM ONTHE FIRST FLOOR AND A ROOF TERRACE ON THE UPPER LEVEL ONE FINDS 2 BEDROOMS, BATHROOM AND A ROOF TERRACE. SINCE THE HOUSE IS AT A CORNER, THE BALCONIES SURROUND THE WHOLE PROPERTY. ADDITIONALLY, 53 SQUARE METRES OF LAND JUST NEXT YO THE HOUSE COULD BE TURNED INTO A GARAGE OR A SMALL GARDEN. NOT TO BE MISSED.